Protect Our Right to Peacefully Protest! On January 20, 2017, police arrested more than 200 people protesting Donald Trump’s inauguration, in conjunction with property damage committed by only a handful of people. In December 2017, the first six defendants were acquitted on all charges (including felony and misdemeanor charges). 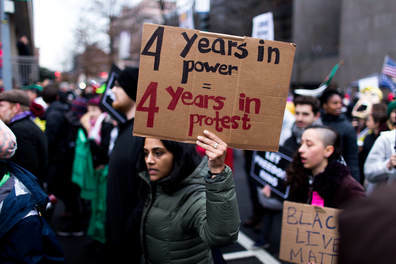 And while the Justice Department has just dropped charges against another 130 of the protesters, federal prosecutors are refusing to drop the charges against 59 remaining defendants -- the vast majority of whom couldn’t have been involved in any property damage. Sign the petition calling on federal prosecutors to drop the charges against the remaining 59 protesters.